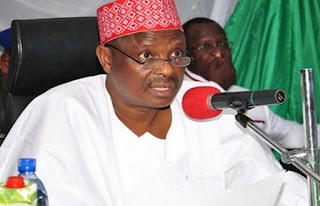 Senator Rabiu Musa Kwankwaso (APC, Representing Kano Central), has said that only God will determine if President Muhammadu Buhari will contest a second term in 2019. Speaking to select journalists in Abuja yesterday, the former Kano State Governor, insisted that despite Buhari’s health challenges, he could still seek re-election. On whether the National Assembly had powers to introduce new projects in budget, Kwankwaso made it clear that the document must be scrutinized. “The National Assembly is not a photocopier. It needs to look at the figure and issues. If you take the constituencies of the entire senators, they are equal to that of the president and if you look at the entire federal constituencies of Reps, they are equal to that of the president. “So, executive, legislature and even the judiciary must be together in the interest of the country,” he said.